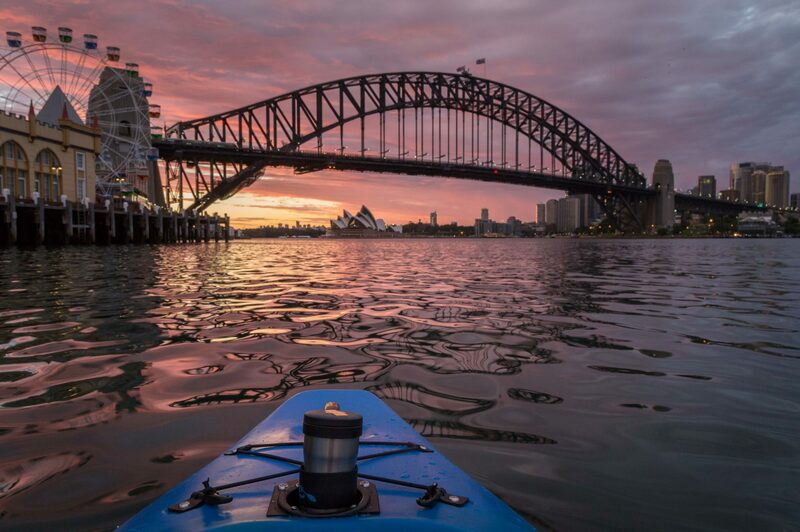 Continue reading "Vivid in Sydney"
Continue reading "Sunset at McMahon Point"
Continue reading "Sunrise over Sydney Harbor Bridge"
Started the morning right with a relaxing paddle by Sydney Harbour Bridge. I just love being out at this time in the morning when the rest of the city is still stirring from their beds and it is still calm out. I was at a work event at the Passenger Terminal by the Sydney bridge yesterday, when a double rainbow burst into the scene directly in front of us. What a beauty! Continue reading "Sunset over Sydney Harbor Bridge and Sydney Opera House"
Continue reading "Sunrise over Milsons Point"